Eduard Mörike’s delightfully high-spirited 1855 novella is an imaginary re-creation of the journey Mozart made from Vienna to Prague in 1787 to conduct the first performance of Don Giovanni. 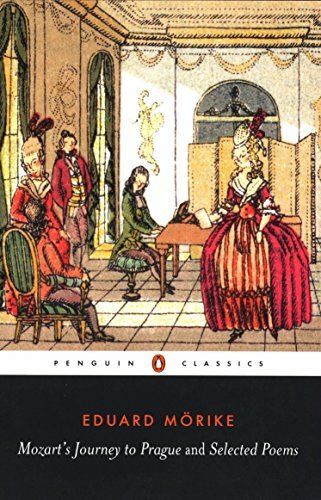 Set in the rococo world of the Bohemian nobility, the story paints an unforgettable picture of Mozart’s creative genius—its playful heights and its terrible depths. Mörike’s own lyrical powers are also displayed in his poetry, which combines classicism and romanticism with elements of the traditional folk and fairy tale.